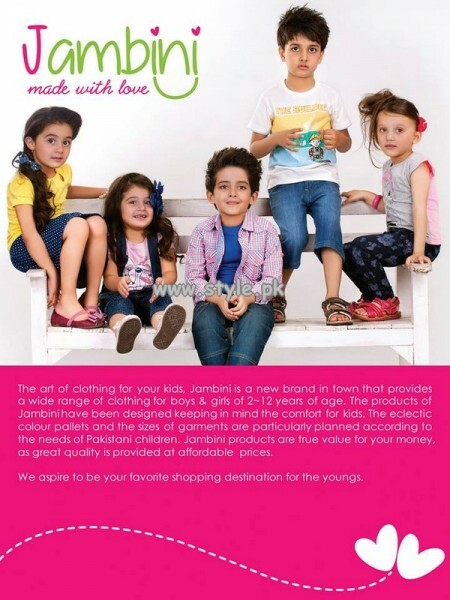 In this post, we will present to you the most beautiful Jambini Kids wear collection 2013 for summer. 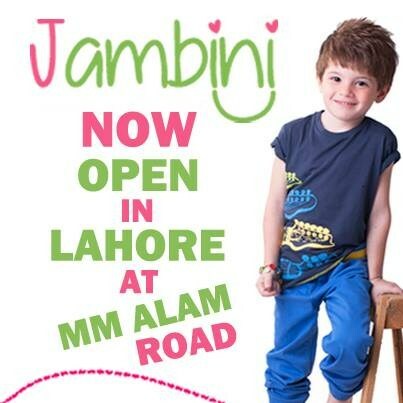 Jambini has launched their kids wear collection for the season of summer 2013. In this collection, total stylish and stunning outfits were added in awesome designs. Jambani is one of the new emerging fashion brands in Pakistan. Jambani is a kid’s wear fashion house, which established in year 2013 by famous fashion brand of women Warda Designer Collection. Jambani has started to build their career in this field by launching their first summer collection 2013. Jambani has launched this beautiful collection for both genders. In this collection, you will find eastern and western both types of outfits. This collection consists of tops, tunics, skirts, tights, jeans, shirts, tee-shirts etc. for kids. Colors used for this collection are red, green, blue, yellow, white etc. This collection is full of elegant looks and high ends. Moms! If you are searching for fashionable dresses for your children’s wardrobe then this collection will be a perfect choice for you because in this collection casual to formal wear are added. Have a look at this collection by Jambani here below.